In last week’s column, I promised to share with the reader some of the noticeable African influences in the Gullah language. These influences are so vast, varied, and deep that I cannot do justice to them in a single newspaper column. So I decided to write it in two installments. In his groundbreaking book titled Africanismsin the Gullah Dialect, which I made reference to in last week’s column, the late African-American linguist Dr. Lorenzo D. Turner identified more than 4,000 words in the Gullah English dialect that trace lexical descent from several languages in west and central Africa. 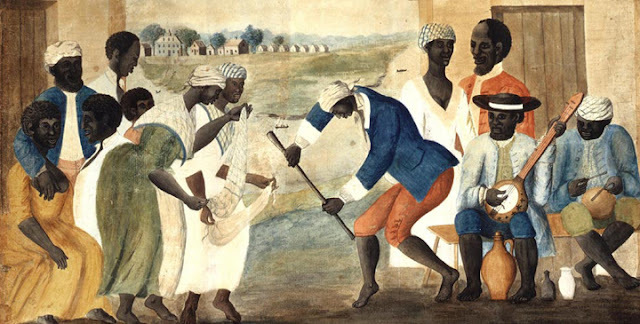 He found these African influences in Gullah people’s personal names, in their quotidian conversational vocabularies, and in their folk songs, stories, hymns, and invocations. I will explore Gullah personal names this week and conclude with the African lexical influences in the everyday speech and songs of the Gullah people next week. In what follows, I identify the African origins of many Gullah personal names. Given that the research for the book from which material for this column was drawn was done in the 1930s, I have updated several of the author’s data and extended and enriched his conclusions based on my own experiential and epistemological location in relation to his data. Thousands of personal names the Gullah people bear are similar to many names people in west and central Africa still bear. It is impossible to mention all of them in this piece; Turner identified more than 4,000 personal names among the Gullah in Georgia and South Carolina. So I am only going to isolate a few, mostly Nigerian, names that stood out for me. I am particularly surprised by the large number of Yoruba names the Gullah people bear. As Turner pointed out, the Gullah people had not the slightest awareness of the Yoruba origin and meaning of their names. Among the hundreds of Yoruba names Turner recorded among the Gullah people in the 1930s are names like Ade, Adebisi, Adebiyi, Adekule [Adekunle], Adeniyi, Adewale, Adu, Adosu, Aganju, Akaraje [i.e., eat bean cake], Akawo [Akanwo], Alafia [ “Alafia” is an Arabic-derived word; see Arabized African names below], Alabo, Alade, Alawo, Baba, Bankole, Erelu, Idowu, Iyaoba, Kehinde, Oduduwa, Otunla, Ogboni, Oluwa, Okuta, Ola, Oriki, Olubiyi, Olugbodi, Oyebisi, Sango, Yeye. There are hundreds more in the book, but I was struck, just like Turner was, that the Gullah people have retained the difficult “gb” sound in their names. Most people, including Africans who don’t speak a Niger-Congo language, usually have a hard time articulating the “gb” sound, which Turner called “the voiced labio-velar plosive,” including the “kp” sound that begins my last name, which Turner characterized as the “gb” sound’s “voiced counterpart” (p. 25). This, for me, is nothing short of extraordinary. Even my first daughter, to whom my native Baatonu language isn’t a mother tongue, has a hard time pronouncing her last name and has pleaded with me to dispense with the “K” in our last name. I told her that would be a mutilation of the name because “kp” is an independent sound unit like “ch” is in “chair” in English. Well, the Gullah people also bear many Africanized Muslim names they obviously inherited from their Fulani, Mandingo, Yoruba, Hausa, Bambara, Wolof, and Mende Muslim ancestors. As Ipointed out last week, the extensive second-hand Arabic influence Turner found in many African-derived Gullah words, which he discovered after speaking with West Africans in London and Paris in the 1930s, caused him to learn Arabic so that he could make sense of his data. Turner recorded names like Aburika, which is probably a corruption of Abubakar; Adamu, incidentally my father’s first name, which is the West African Muslim rendering of Adam; Aduwa, an Africanization of du’a, the Arabic word for prayer; Ayisa and Ayisata, Mandingo and Bambara Muslim approximations of Aisha, the name of one of the wives of the Prophet of Islam; Ayuba, the Muslim version of Job, which is rendered as Ayub in Arabic; Baraka, which is Arabic for blessing that shares etymological and semantic affinities with Barack, the first name of President Obama; Dirisu, which is how the Mandingo and Bambara people call the Muslim name Idris—Yoruba Muslims call it Disu; Fatuma, Fatu, Fatimata (all Mandingo, Wolof, and Bamabara versions of “Fatima,” the name of the daughter of the Prophet of Islam); Fitina (derived from the Arabic word for trouble); Ibrahima, the West African Muslim rendering of Ibrahim, which Christians and Jews call Abraham. He also recorded names like Jumare, now regarded as a Fulani name but which is actually derived from (al)jumea, the Arabic name for Friday— Yoruba, Ebira, Baatonu Muslims, etc. bear the name as Jimoh; Gibril (which Nigerian Muslims bear as Jibril or Jibrin or Jibo and which Christians and Jews know as Gabriel; Imale (the Yoruba word for Muslim, presumably because Islam came to Yoruba land from Mali); Haruna, which is the West African version of Harun, which Christians and Jews know as Aaron; Lafiya ( derived from the Arabic word for good health, which is borne as a royal name among the Borgu people in Nigeria and Benin Republic, and as an everyday personal name in Senegambia and other historically Muslim polities in West Africa; Madina, the name of the second holiest city in Islam known to Westerners as Medina, which West African Muslims bear as a female personal name; Laila; Laraba, a Hausa name given to a girl born on Wednesday, derived from al-arbi'aa', the Arabic word for Wednesday; Woli, (the Yoruba Muslim domestication of the Arabic wali, which means patron saint); Salihu; Salamu; etc. The Gullah even bear puzzling names like Kafiri (a derogatory name for a non-Muslim, which Yoruba Muslims call keferi, which is an African approximation of the Arabic kafir) and Saitan, which is the Muslim rendering of Satan! They also bear the names of West African ethnic groups as personal names, perhaps indicating the ethnic origins of some of the Gullah people. They bear names like Fulani, Fulbe, Fula (which refer to the same people), Ibibio, Ijesa, Ogbomosho, according to Turner’s records. The name Yoruba didn’t exist as a collective name for people in what is now southwest Nigeria. “Yoruba” in its current form is a 19th-century creation by Samuel Ajayi Crowther—following a 16th century Songhai Islamic scholar by the name of Ahmed Baba who first used the name to refer to people in the old Oyo Empire. That is why only names like Ijesa (a Yoruba sub-group found in present-day Osun State) and Ogbomosho, rather than “Yoruba,” appear in the records of people enslaved in the West from West Africa. The Gullah people also bear Kwora, the name for River Niger in many West African languages, including Hausa, Baatonu, and Fulani from where it was probably passed down to the Gullah. Interestingly, among the Baatonu people, Kwora is a name reserved exclusively for members of royal families in both Nigeria and Benin Republic. While the gendering of many Gullah names corresponds with their gendering in West African names (for instance, many of the Yoruba names among the Gullah are unisex, like they are among the Yoruba), there is a discordance in others. For example, a name like Aba, which is a male name in Gullah, is the name of a girl born on Thursday among the Fante people of present-day Ghana. Turner found out that most of the personal names that the Gullah bear can be traced to Arabic (by way of members of several Islamized West African ethnic groups who were enslaved to rice plantations in Georgia and South Carolina); Bambara ( who are now found primarily in Mali, but also in Guinea, Burkina Faso, and Senegal); Bini in southern Nigeria; Bobangi in the Congo; Zarma who now live mainly in what is now Niger Republic; Ewe who can be found in Togo and Benin Republic; Efik in southern Nigeria; Fante in Ghana; Fon in Benin Republic; Fulani; Hausa; Igbo; Ibibio in southern Nigeria; Kongo in Angola; Kikongo in the Congo; Kimbundu in Angola; Kpelle in Liberia; Mende in Sierra Leone; Malinke, Mandinka, and Mandingo in Senegambia, Mali, Guinea, Liberia, Sierra Leone, etc., Nupe and Gwari in central Nigeria; Susu in Guinea; Songhai in present-day Niger, Mali, Benin Republic; Twi in Ghana; Temne in Sierra Leone; Tshiluba in the Congo; Umbundu in Angola; Vai in Liberia and Sierra Leone; Wolof in Senegambia; and Yoruba in southwestern Nigeria. Keep a date next week for an analysis of African words in the Gullah English dialect.